When you run your own business, you take on a lot of responsibility and there are a number of complex challenges you face as a business owner. While a lot of managers make sure their business is protected financially if something goes wrong, they forget about protecting themselves as well. To protect your assets and the assets of the business, you should consider management liability insurance. Let’s take a closer look at this form of cover. What’s management liability insurance all about? Management liability insurance protects your assets and the assets of the company against claims of mismanagement. No matter how careful you are, as manager of a business you could face claims relating to accusations of breach of legislation or compliance issues or shareholder disputes following loss to a third party which is why it’s so important to have management liability cover in place. Management liability insurance will also cover legal bills if you hire a lawyer during the claims process. If you find yourself on the receiving end of claim which involves allegations of mismanagement, it could be financially crippling for the business. Even if the claim is not successful, the legal bills alone will have serious financial implications unless you’re covered. Every business manager has the best intentions but running a business is complex and anyone involved in the running of a company can be found personally liable. When you have management liability insurance in place, it not only protects directors and officers but also the company itself. If you’re running a business, you need to consider risk management and you owe it to the success of the company to ensure that your areas of risk are adequately covered. Isn’t it the same as professional indemnity insurance? Nope. It’s easy to understand why people assume they don’t need both management liability insurance and professional indemnity insurance in place – after all, both of them protect the business when things go wrong. However, the difference is that management liability insurance is used for claims that involve allegations that company has been mismanaged by you and that caused a loss to others. While professional indemnity covers the activities of the company, management liability insurance covers the actual running of the company. If you’re having difficulty navigating the murky waters of management liability insurance and director’s liability insurance, we don’t blame you – it can get complicated! To make things easier, have a chat to your insurance broker and they can advise you on the best cover to protect yourself and your business. The insurance experts at GSK Insurance Brokers offer management liability insurance cover which makes up part of your business insurance package. Other forms of cover we can offer your business include public liability insurance, professional indemnity liability insurance and workers compensation cover. With our strong focus on customer service, our expert brokers will find you the right insurance package at a competitive price. 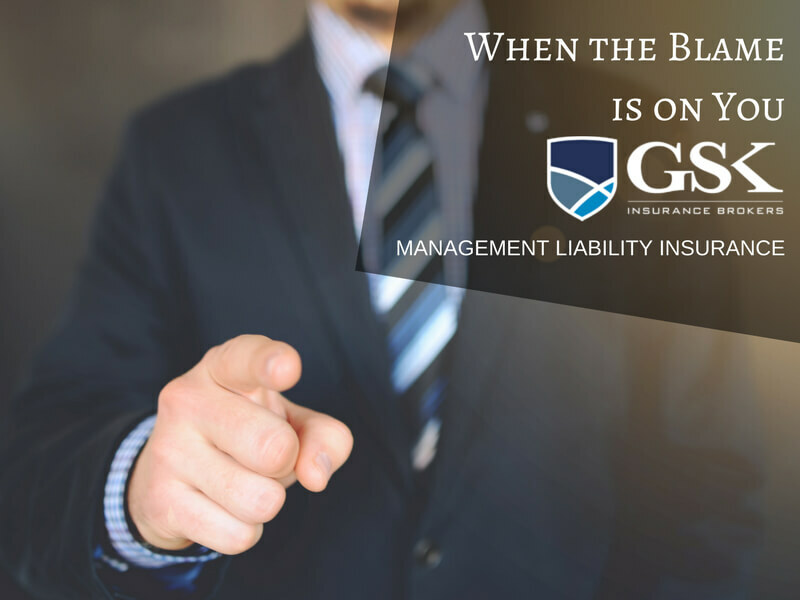 For management liability insurance, speak with the insurance professionals at GSK Insurance Brokers today.